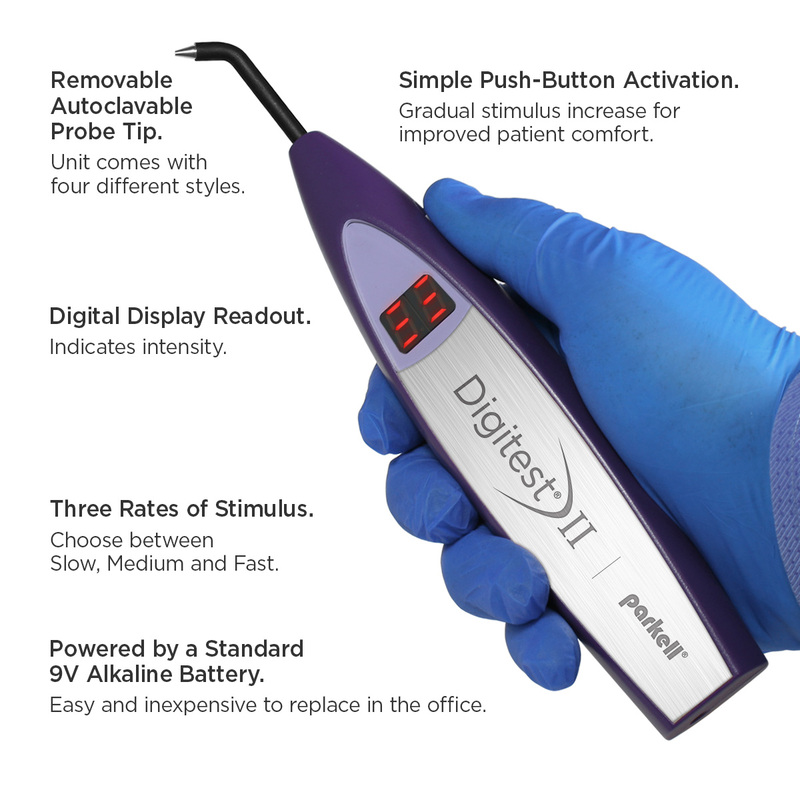 The Digitest II™ is comfortable to handle and can be easily wiped down for disinfecting. 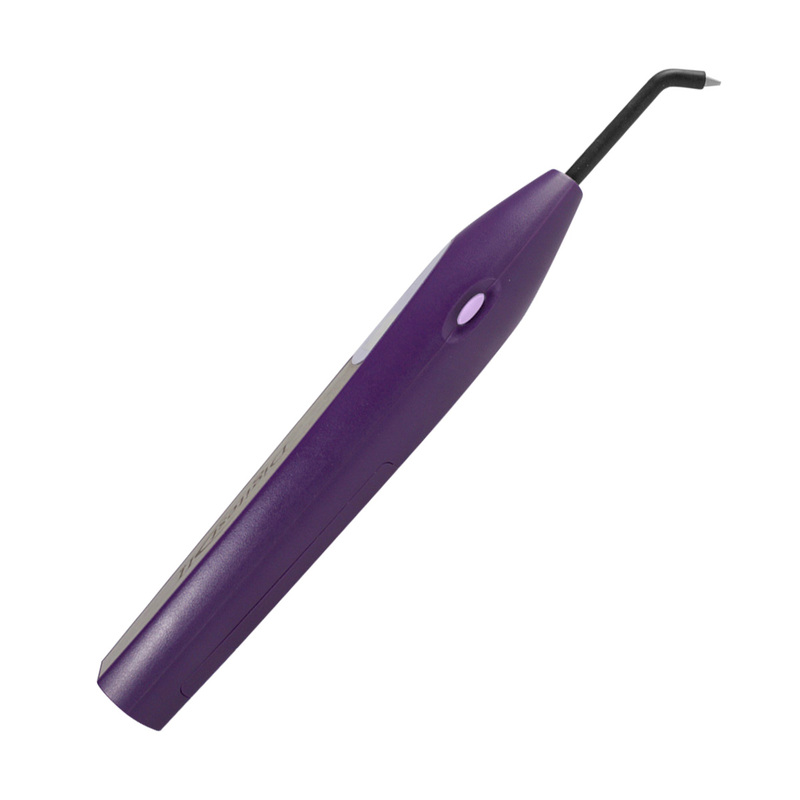 Designed for optimal ergonomics and easy handling. Three rates of stimulus increase – slow, medium and fast. Unit remembers the previous rate of speed programmed. Micro-processor performs a self-test assuring proper function of the unit every time. 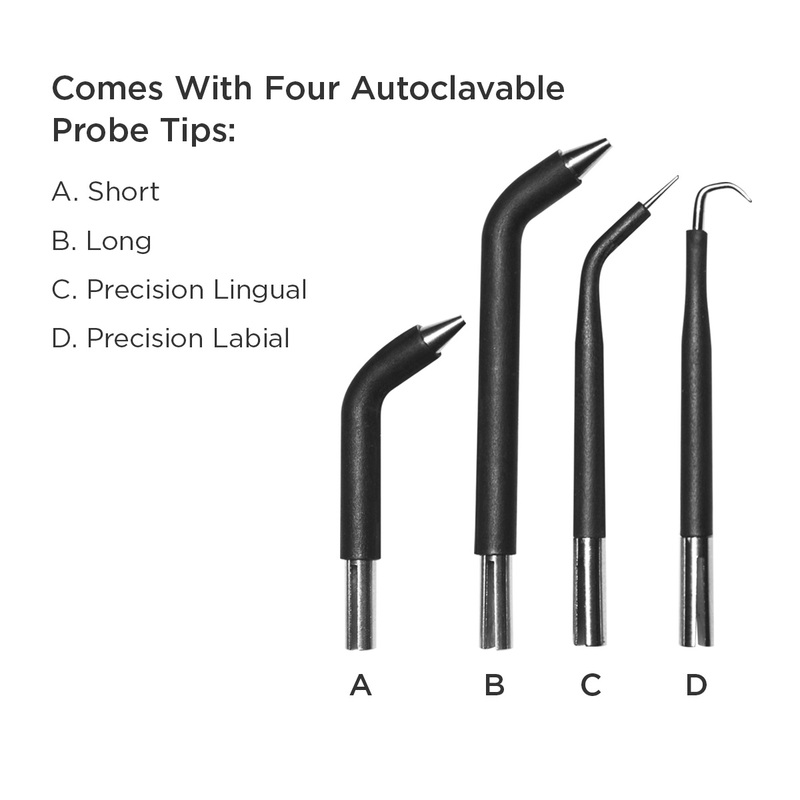 Unit comes with 4 autoclavable probe tips. Runs on easily replaceable 9-V alkaline battery. The same button that activates the device allows the user to program the unit’s functions. To select the rate of increase for the stimulus, simply apply two quick presses. In addition, the microprocessor performs a self-test every time the unit is turned on to assure that the entire electronic system is functioning properly. The unit also shuts itself off after testing to preserve battery life. 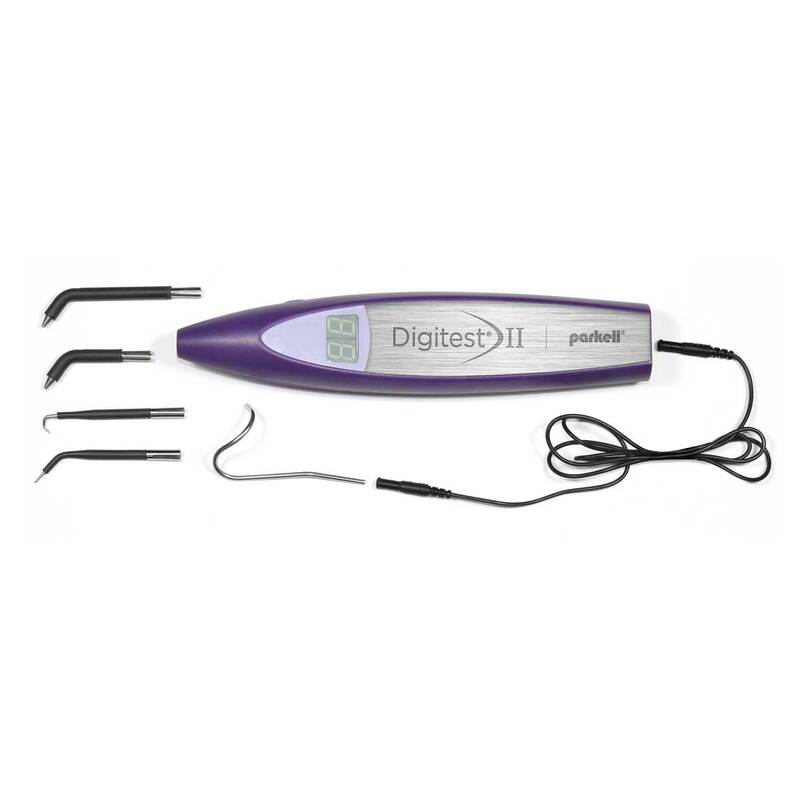 The Digitest II comes with a standard, 9-Volt Alkaline battery that may be easily replaced right in the dental office.